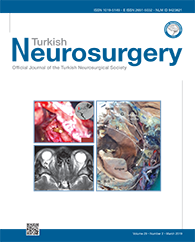 4Ondokuz Mayis University, Faculty of Medicine, Department of Neurosurgery, Samsun, Turkey DOI : 10.5137/1019-5149.JTN.21511-17.1 AIM: To investigate the costs of treating the infection with antibiotics only with the risk of surgery when unsuccessful versus immediate removal followed by re-implantation in patients with deep brain stimulation (DBS) hardware infection. MATERIAL and METHODS: We calculated the costs of the different strategies through a standard costing procedure. A decision model has been applied to establish the average treatment cost per patient representative for a clinical setting where both strategies are employed. Subsequently, a sensitivity analysis has been performed to assess the influence of clinical assumptions regarding the effectiveness of antibiotics treatment on average treatment costs. RESULTS: The costs of treating a case of DBS hardware infection with immediate internal pulse generator (IPG) replacement surgery were ?29,301 compared to ?9499 for successful antibiotic treatment. For antibiotic treatment followed by IPG replacement surgery the total costs were ?38,741. Antibiotic treatment alone was successful in 44% (4/9) of the included cases of DBS infection, resulting in average treatment costs per patient of ?25,745. Trying to resolve DBS hardware infections initially with antibiotics reduced treatment costs by 12.1%.